We recently chatted with Gilgandra photographer Barbara Scott about her creative practice, inspirations and her new exhibition Country, now on display at the Gilgandra Art Gallery. How did you first get into photography and what draws you to the medium? Which photographers influenced you, and how did they influence your thinking and photography? My dad enjoyed photography and he encouraged me to make it my hobby. Tony Hewitt is another photographer who inspires me. He encourages photographers to find their own style and to be themselves, creating their own unique images. I love his work and enjoy his uniqueness. For me, if the photograph makes my heart sing, that’s enough. If it makes someone else’s heart sing, that’s an added blessing. Sometimes photographs have a story; other times I just enjoy the overall composition. Most photos that have a story will talk about issues of life. 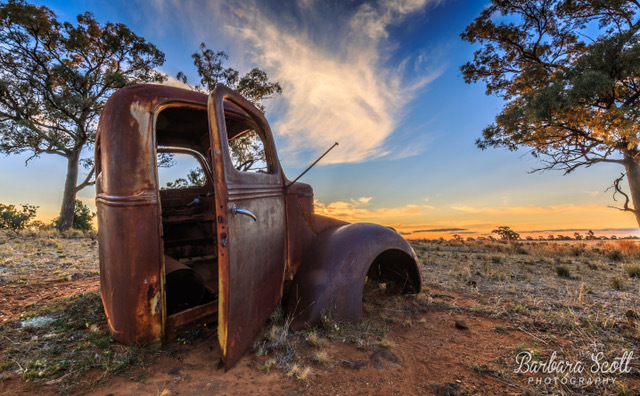 For example: I photographed an old rusted ute at sunset. I called this image ‘Retired.’ The story for me is about looking after your body while you are young so you can enjoy your retirement. Some photographs just ‘happen’ and others have to be carefully constructed. What do you find inspiring about the Gilgandra region — what motivates you to capture the country in this way? I enjoy seeing life on farms: the cattle and sheep, the woodsheds, the crops and the people. The river and creeks, even when they are not flowing, provide inspiration. Forests and windmills, the bush and old dead trees also provide inspiration. The light and the clouds motivate me to take a drive and see what I can find. Having someone to ‘shoot’ with also provides motivation. I have a good friend I go out with often. What does this collection of images — Country — mean to you? 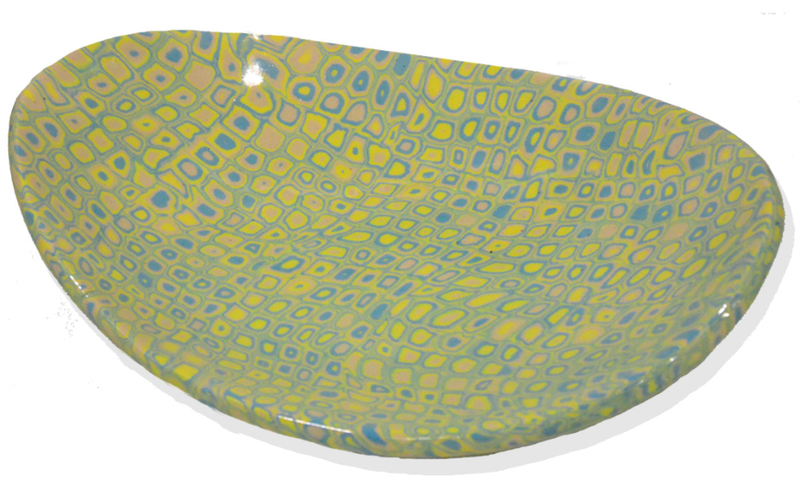 Having grown up in Gilgandra and returned now forty years later, I am seeing the beauty of Gilgandra through fresh eyes. In 2016, the Castlereagh River at sunrise after rain, this year the land in drought, a closer look at sheep and cattle, and the pine trees that blow in Spring. After reading some articles on photographing concrete, I visited the silos on Warren Road and some walls in our main street. This led me to discovering other abstract options around town. Beautiful clouds can come up over our town and I’ve endeavoured to show you some variations of these. However, not all clouds bring rain! Photography is my hobby and the way I have been nurturing myself after experiencing burnout. I enjoy creating images that make my heart sing. I hope they make your heart sing too! 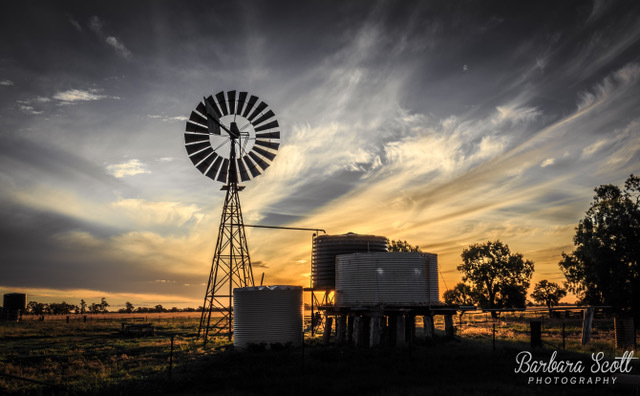 The Country Photographic Exhibition by Barbara Scott is on at the Gilgandra Art Gallery at the Coo-ee Heritage and Visitor Information Centre, 9am–5pm from 12 September to 28 October.